Operating a place of worship is a huge undertaking—you provide people with peace of mind, community, and even a place to feel safe and protected. Not every church or worship center is the same. An insurance program that protects you and your congregation should be unique too. 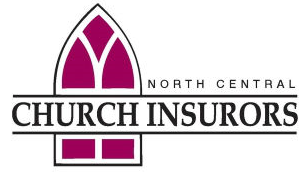 At North Central Church Insurors, we focus on the safety and well-being of your institution and your people. North Central has been writing churches for over 30 years, and with this longevity we have acquired the knowledge and expertise needed to make sure you are properly protected. Our process includes a thorough risk evaluation, followed by a customized insurance plan providing you with the protection you need while keeping premiums within your budget. We work with only the most reputable insurance companies available to ensure your coverage is there when you need it most. What’s more, you get the quality personalized service for which North Central is known.